This is what James achieved. James has a demanding job as a fighter pilot and needs to be lean and fit. He came to see me in 2011 and continues to see me from time to time to refine his nutrition and amend his training programmes. 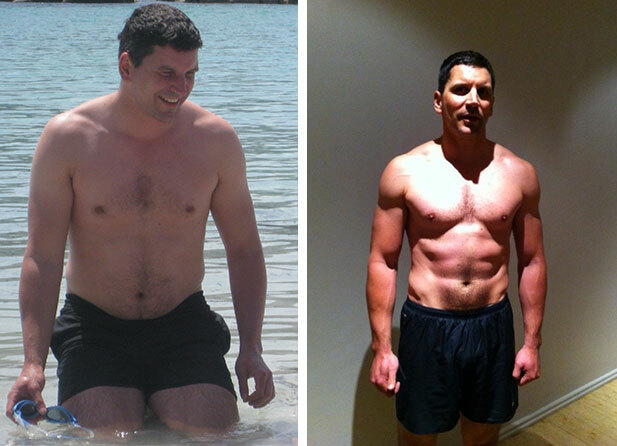 I started training with Craig because my wife had and I was impressed with her results. I wanted to get better at triathlons, I didn’t think I needed to lose weight but perhaps wanted to improve my shape. Craig advised me on nutrition and how to train with weights. Within a very short space of time my body fat reduced and my lean mass started to increase. I completely changed what I did in the gym and now understand what weight training is really all about. I am still improving and with Craig’s help have maintained a body fat of 9% and I’m continually increasing my lean mass. I am so pleased with my new shape. I would recommend him to anyone wanting to improve the way they look and feel.